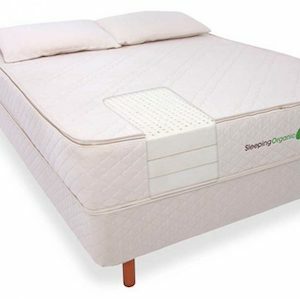 Organic latex mattresses are mattresses that contain only certified-organic components including organic latex, organic cotton and organic wool and are made in certified-organic factories. Organic latex mattresses also use only organic wool as a fire barrier. “Naturepedic organic mattresses are made without the questionable chemicals found in conventional mattresses, offering a more natural and non-toxic alternative for adults, kids, and babies. We believe that removing chemicals from your sleep environment is essential for optimizing your body’s ability to rejuvenate itself.” Starting at $1,999, click here to learn more. Organic Mattresses, Inc. (OMI)® produces luxury certified organic mattresses and bedding, proudly handcrafted in America from the highest quality sustainable raw materials available. As the most-trusted specialty mattress brand for nearly 15 years, OMI promotes healthy sleep to complement a healthy lifestyle, with pure and honest products designed to reduce exposure to the many harmful chemicals found in most other sleep products. From $11,499, click here for details. 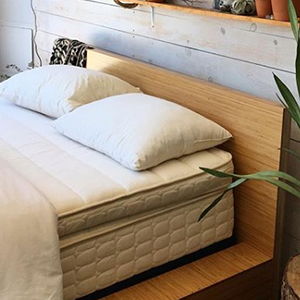 While there are only two 100% certified-organic latex mattress brands that we have found, there are brands who meet the strict qualifications of using only organic latex, organic cotton, organic wool, and an all-wool fire barrier – but are not made in certified-organic factories. We’ve listed these as they present an incredible value for those who prefer to purchase organic products but find certified-organic prices unnecessarily out of reach. Companies pay large amounts of money for certain certifications and pass along the costs to the consumer. It pays to determine which certifications are important to you so that you don’t unknowingly pay more for a product. “As a true factory direct with 41 years of experience, we eliminate middle-man markups and bring substantial savings to our customers. But the most important thing we deliver is “value”; that is the only thing we will be remembered for, and in the end judged.” Starting at $1,150, click here to learn more. 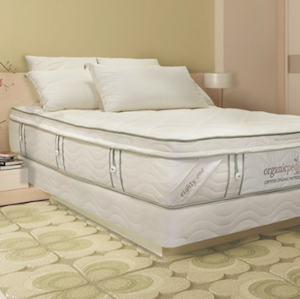 “Our organic and natural mattresses are held to the highest of Nest Bedding standards. In addition, we promise to provide customer service that exceeds that of all other brands.” Starting at $599, click here to learn more. “All Sleeping Organic bedding fabrics and materials are sourced from the world’s finest plantations and farms. 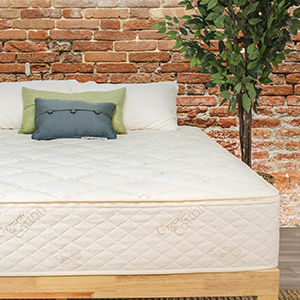 Our certified organic latex mattress, latex toppers, and other organic bedding are then handmade with care at our Charleston, SC headquarters.” Starting at $1,425, click here to learn more. 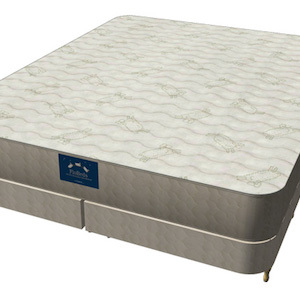 “At FloBeds, we take pride in being the original personally crafted mattress company. Family owned and operated since 1971, we ship our famous FloBeds throughout the country and all over the world, and in just a few small boxes, saving you money and conserving natural resources!” From $1,699, click here for details.